Globalisation is transforming the world in ways that we are only just beginning to understand. It is often assumed that social movements, such as that of labour, will simply be overwhelmed by these changes. 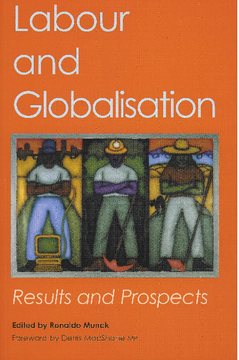 This book carries out a wide-ranging examination of theoretical and practical dimensions of globalisation and the responses of the labour movement to the challenges it poses. Contributors explore the trend towards the globalisation of labour, the influences of globalisation at the sub-global spatial level, and the effects of globalisation in a social dimension. In different ways, from different angles and taking up different positions, all the chapters in Labour and Globalisation can be seen as contributions to the development of a labour-based challenge to the ravages of globalisation. They are, on the whole, neither optimistic nor pessimistic but seek out possibilities as well as establishing limits to labour transnationalism in the era of globalisation.